On October24th, Children in 3rd - 5th grade converted our classroom into an October wonderland for our annual Haunted Classroom event. We got together as a whole center. 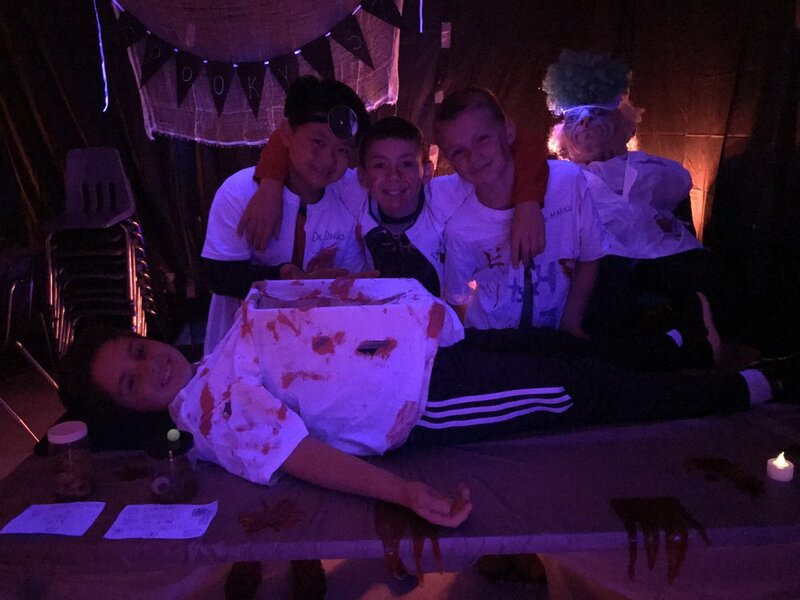 Our third-fifth grade students were team leaders once again and led children through our festive and haunted classroom. We all enjoyed a snack of dirt cups and worms to complete this activity. Children in our 1st and 2nd grade classroom designed a festive October Bulletin Board in the classroom.